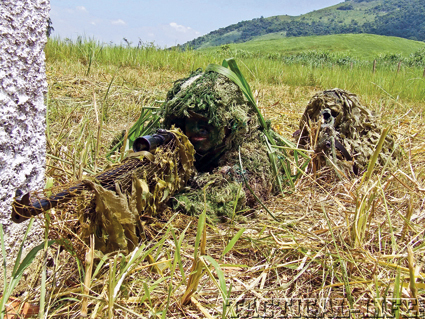 Tonelero Marines are trained to deal with any mission that arises, in any environment, with top weapons like the Parker Hale M85 sniper rifle, Colt M4s, and the FN Minimi. Take a country with a total area of more than 8.5 million square kilometers—the world’s fifth largest in size—presenting a continuous Atlantic coastline of 7,490 kilometers (3.5 million square kilometers of territorial waters, the so-called “Blue Amazon”), bordering 10 different countries, and with a population of about 200 million. Its territory includes more than five different climatic subtypes, a massive Amazon forest of about 6 million square kilometers (roughly one-third of the world’s rainforest area) and home of this planet’s largest biodiversity. Natural resources range from manganese (about 8 percent of the world’s reserves) to crude oil, with about 120 sea-based oilrigs spitting out 2 billion barrels a day. This is Brazil, Latin America’s largest nation. By any standard, adequately protecting and defending a country like this is no small task, and more so if the defense budgets are always very limited. The three branches of Brazil’s armed forces, consequently, are given a huge responsibility to carry out their constitutional obligations, each one in their respective areas of action. Brazil’s Corpo de Fuzileiros Navais (Marine Corps) is a branch of the Brazilian Navy, and its origins date back to March 7, 1808, when the Portuguese Royal Family, fleeing Napoleon’s invading troops, landed at Rio de Janeiro, making the city the seat of the entire Portuguese Empire. Escorting the royalty to their new home were members of Portugal’s Brigada Real da Marinha (Navy Royal Brigade), and, to make a long story much shorter, that’s the historical origin of the Brazilian Marines, whose 203rd anniversary was celebrated in 2011. Within the organizational structure of the Corpo de Fuzileiros Navais a particular unit stands out, the Batalhão de Operações Especiais de Fuzileiros Navais or Marine Special Operations Battalion. 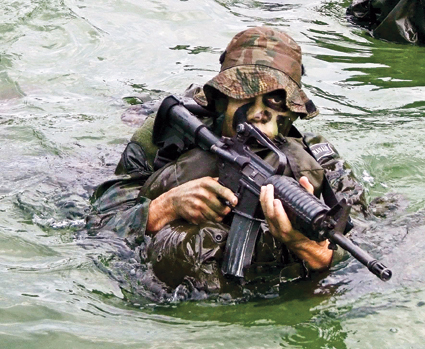 Generally known as the Tonelero (a tribute to a famous 1851 battle fought by the early Brazilian marines in a war against Argentina and Uruguay), the outfit may be regarded as “the best of the best,” not only as a result of having the toughest training among their Marine counterparts but also because of the high-risk missions these operators are called to perform. 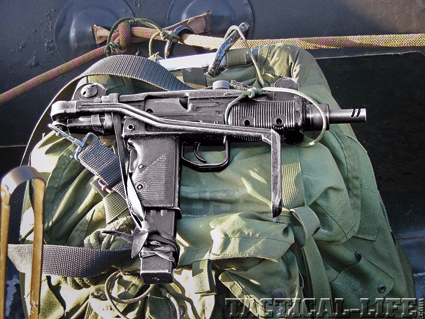 The Brazilian Marines have for long been looking at a new submachine gun to replace their old workhorses. 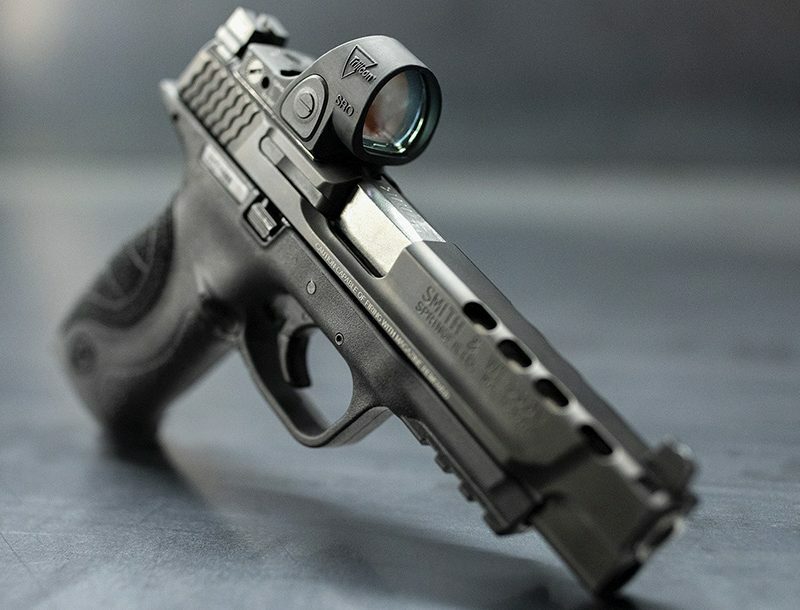 The new Taurus SMT 9 G2, in 9x19mm, is seen as a possible choice.